Kate and Chelsie: 'Perfect Serve' Gin Cocktails At The OXO Tower London. 'Perfect Serve' Gin Cocktails At The OXO Tower London. 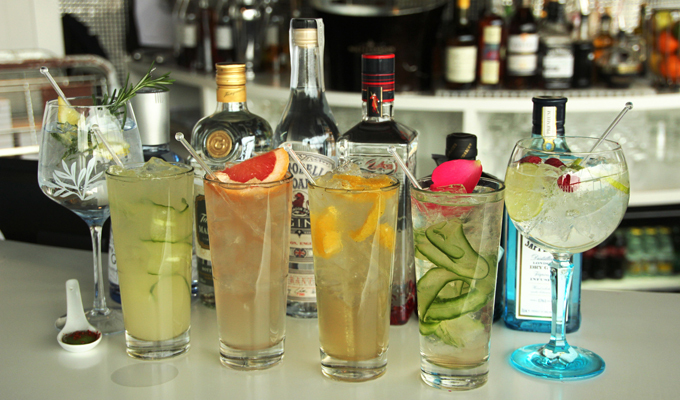 Enjoy a choice of six premium Gins, expertly matched with special tonics and bespoke garnishes, served in beautiful glassware. 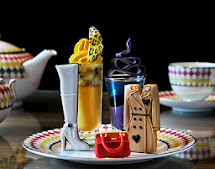 Quintessentially British, Gin has been enjoying a comeback in recent times. Such is its current popularity, there has been a notable resurgence of artisan and larger Gin distilleries, with many flavoursome variations giving rise to new twists on the classic Gin and tonic. A fusion of savoury Mediterranean Gin and delicate Peruvian tonic with a soft, almost floral, quinine finish. The flavour is enhanced by the addition of a smoked rosemary sprig, lemon and basil leaf and burst of green gazpacho. Release the wow factor of Hendricks Gin by pairing with Fentimans Tonic; perfectly balancing the floral notes with a bitter finish. The addition of Lillet aromatised wine accentuates the unusual botanicals in the Gin, further enhanced by an eye-catching garnish of cucumber ribbons and rose petals. Created with a ‘pink Gin’ in mind, the matching of Portobello Road Gin with Fevertree Tonic, OXO’s homemade pomelo cordial, bitters, and a pink grapefruit wedge is all carefully crafted to compliment this wonderful London Dry Gin’s profile. Beefeater 24 contains rare and exotic Chinese and Japanese teas which have been steeped in the spirit for 24 hours before re-distillation. Paired with Schweppes tonic, orange flower aromas, Earl Grey cordial and garnished with an orange segment results in a refreshing and curious concoction. This gin’s wide popularity is driven by the gentle appeal of its flavour profile and signature blue bottle. Mixed with lashings of Fevertree Tonic, resh raspberries and lime wheels gives this drink both colour and bite. This sought after limited re release from Tanqueray sees an Old Tom style of sweeter Gin featured in our range. Balancing the sweetness of the serve with Zeo Soda Tonic, a glug of spicy ginger beer, cucumber and Pimento bitters. 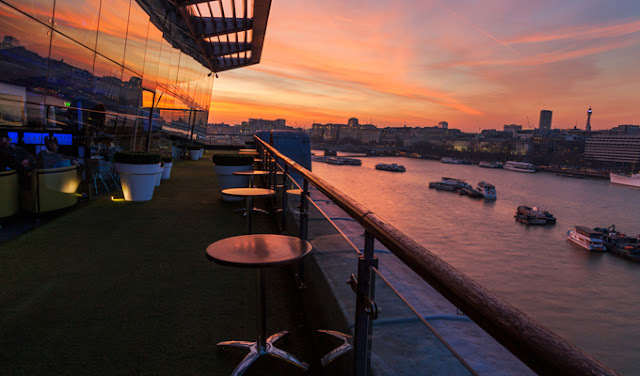 OXO‘s spectacular 250-foot terrace offers breathtaking views of the city!